Jerusalem is a city like no other in this world! You can explore for weeks and still have more Jerusalem to discover. That's why we strongly suggest taking at least one day with a guided tour to discover some of Jerusalem's hidden secrets. Choose from our handpicked list of eight private Jerusalem tours with our wonderful guide Levi. 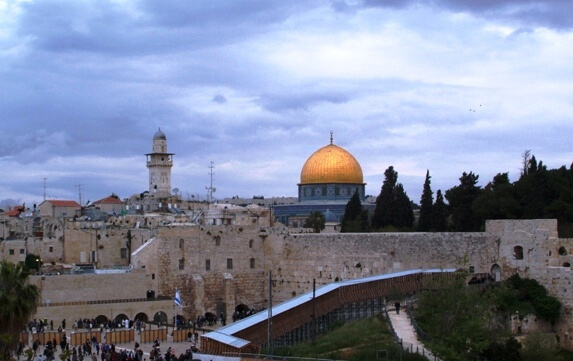 Read about our seven Jerusalem tours below. You may prefer private Jerusalem walking tours to discover the city up close and personal, at your own pace. Click on the Jerusalem Tour link below that interests you, or browse down and read through all the tours to select your favorite Jerusalem sightseeing option. Jerusalem Highlights Tour - This is the perfect Jerusalem tour if you have just one day (or even just half a day) to see as much as you can of this magical city. 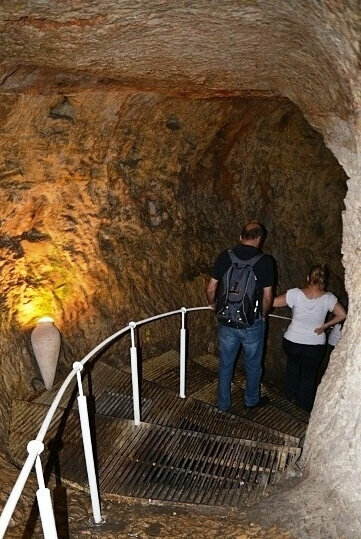 Underground, Ancient Jerusalem Tour - just below the surface of the city, you can discover a fascinating maze of Jerusalem's ancient paths going back 3,000 years. It's my favorite! Christian Jerusalem, Bethlehem & Dead Sea Tour - This is the ultimate one day Christian tour if your time is limited. See the most important sites of Israel in one unforgettable day. Christian Jerusalem and Bethlehem Tour - visit the holy places where Jesus Christ was resurrected in Jerusalem and where he was born in Bethlehem. 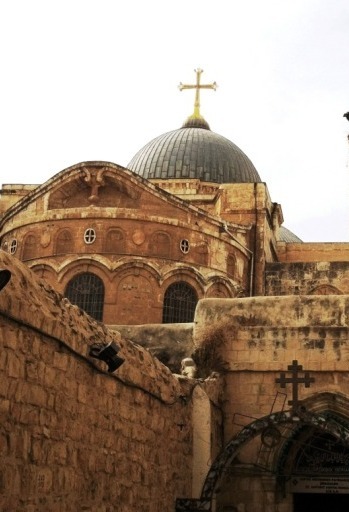 Catholic Pilgrimage Tour of Jerusalem - follow the 14 stations of the Via Dolorosa, explore the Holy Sepulchre Church, the site of the Last Supper and other churches commemorating early events of Christianity. Protestant Tour of Jerusalem - follow in the footsteps of Jesus in Jerusalem during his last days on earth, and until his resurrection. 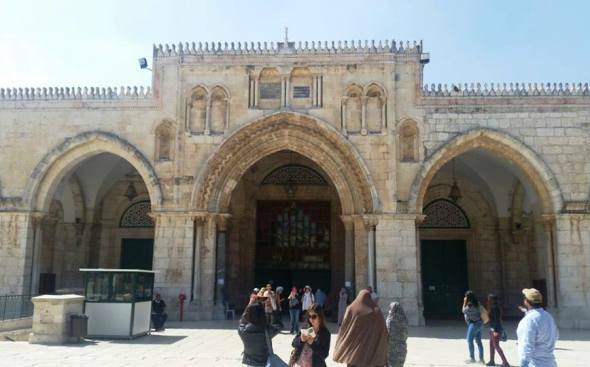 Muslim Tour of Jerusalem - explore the sacred and historical lslamic sites in Jerusalem with a local, Muslim tour guide. 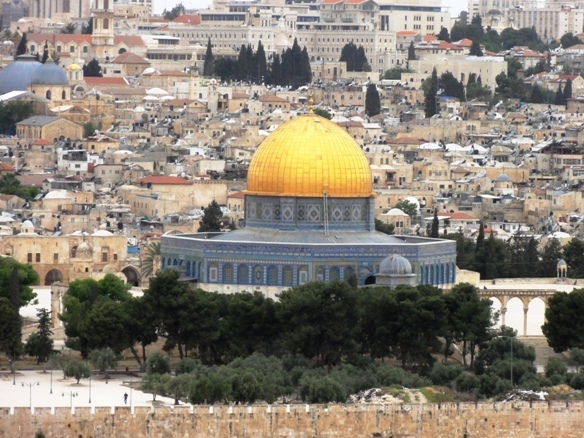 This is the tour if you want to get an overview of the only city in the world considered holy by three world religions: Judaism, Christianity and Islam. After a breathtaking view from the Mount of Olives, you'll cross the Valley of Kidron. This is where all three religions talk about the Resurrection when the Messiah will descend from the Mt. of Olives and the bones of the deceased will gather for the Last Judgement. From there, you'll ascend to the Temple Mount, so called because it was the location where the Jewish Temples of Jerusalem were built and then rebuilt by King Solomon, the prophets, by King Herod and finally destroyed by the Romans. Our first visit on the Mount will be to the Al-Aqsa Mosque where Mohammed rode on his ‎miraculous horse to meet Allah face to face. You'll continue to explore the Muslim and Christian Quarters of the Old City, culminating at the Via Dolorosa and the Holy Sepulcher Church. This is a unique tour that explores Jerusalem as it was in ancient times. You'll start at the Jerusalem Archaeological Park and Davidson Center, climbing the original, 2,000 year old steps of Hulda Gate leading to the Temple Mount. There is a captivating virtual reality reconstruction of the temple as it stood before the Romans destroyed it. Just below are the ruins of a Roman street built by Herod’s son, Antipas. Its storefronts are littered with enormous stones thrown off the Temple Mount when the Romans destroyed the Temple. You'll explore the City of David which includes some of the most exciting archeological finds of the ancient Jewish world, including remnants of a building believed to be King David's palace, and the surrounding nobles' villas from 3000 years ago! You'll walk along Hezekiah's Tunnel leading from Gihon Spring to the Pool of Siloam to the Temple Mount. And you'll tour the underground Western Wall Tunnel that includes gigantic stone walls and huge arches from the time the Second Temple was constructed. 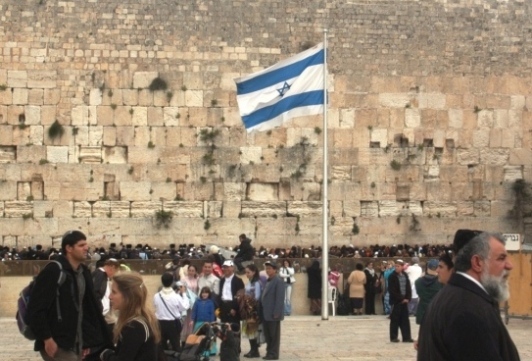 This inspirational tour covers the Jewish heritage of Jerusalem, starting in the Jewish Quarter of the Old City which includes the Wall, in Hebrew - the Kotel, and ending at Yad Vashem Holocaust Memorial Museum. You'll start at the Kotel, the holiest place on earth for Jews, the only remnant of the Western Wall of the great Jewish Temple before it was destroyed by the Romans. You'll continue walking in the Jewish Quarter of the Old City, past the Cardo, Jerusalem's main street 1,500 years ago, the newly rebuilt 'Hurva,' the Destroyed Synagogue, and four restored Sephardic synagogues which operating for hundreds of years, all destroyed in the War of Independence. The tour continues to the Broad Wall, built by King Hezekiah to protect the western hill of Jerusalem from a Babylonian invasion. You will descend to the Herodian Quarter, which provide a view into the life of wealthy Jewish community living in mansions during the days of the 2nd Temple 2000 years ago. The last leg of the tour is at Yad Vashem, progressing from the rooms displaying the Holocaust and its atrocities, continuing to the armed resistance of the Jews, culminating in an amazing view of modern Jerusalem. This is the ultimate, see-it-all tour for guests who have just a single day, and want to visit all the most important Christian sites in Jerusalem and Bethlehem, as well as the Dead Sea. Arriving in Bethlehem, you'll start at the Church of the Nativity at Manger Square, including the Grotto of the Nativity, the manger where Jesus was born and the Altar with the inscribed star. Driving down from the hills of Jerusalem to the Judean desert, you'll visit Qasr El Yahud Baptism Site at the Jordan River. 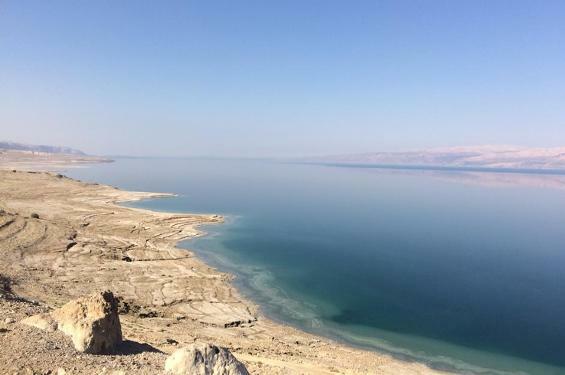 Last stop will be the Dead Sea Resort at the Dead Sea, enjoying the sights and if you choose, floating in the salty waters of the lowest place on earth, the Dead Sea. Bring your passport for the (5 minute) border crossing to the Palestinian territories. This tour takes you from the most sacred place in Christianity where Jesus was resurrected in Jerusalem, to his birthplace in Bethlehem. You’ll start at the Holy Sepulcher Church where Christians believe Jesus Christ rose from the dead. The Church itself bears thousands of years of scars from fires, wars and earthquakes, but attracts thousands of pilgrims every day. After a short, fifteen minute ride to Bethlehem, you'll visit the Church of the Nativity, erected above the cave where Jesus was born. 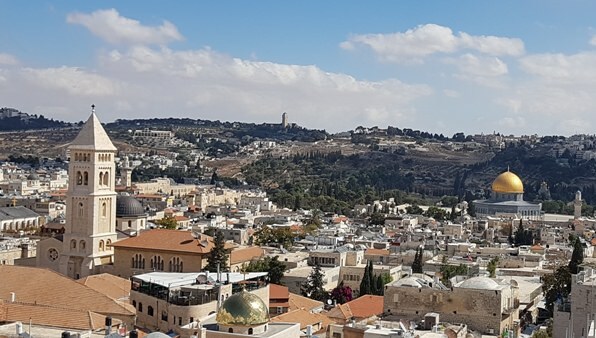 The tour continues to the Shepherds' Fields and Rachel's Tomb, the second most important historical site for Christians in Bethlehem, a site holy to Jews and Muslims as well. 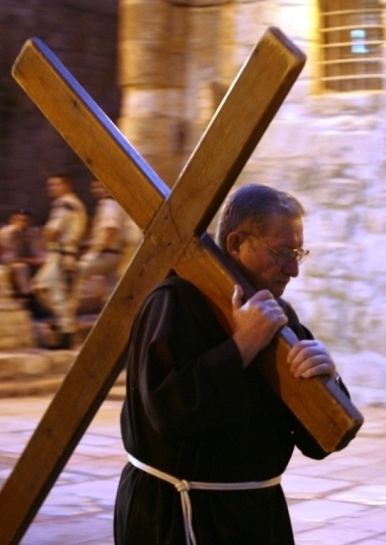 On this Catholic pilgrimage tour of Jerusalem, you will walk along the 14 stations of the Cross of the Via Dolorosa, the Way of Grief, the path where Jesus was led in agony until the crucifixion on Golgotha. The first eight stations are in the streets of the Old City, while the last five stations are located in the Church of the Holy Sepulcher. After praying and exploring the church, we will visit the Last Supper room on Mount Zion where Jesus had his Last Supper with his disciples. You will visit the beautiful Dormition Church and descend into the crypt where Mary fell into 'eternal sleep'. Nearby is the Garden of Gethsemane where Jesus was betrayed by Judas and arrested. This garden's ancient olive trees might have been saplings when Jesus was here. The last stop is the Church of All Nations or the Basilica of the Agony, where Jesus prayed on the night of his arrest. This Protestant tour of Jerusalem starts with a breathtaking view from the Mount of Olives. It continues with a visit to Dominus Flevit church, 'the Lord's Cry' - where Jesus is believed to have wept over the destruction of Jerusalem forty years later. Here we shall see the oldest Judeo-Christian tombs from the 2nd Century AD. Driving across Resurrection Valley, we'll descend to the Garden of ‎Gethsemane where Jesus was betrayed by Judas and arrested. This garden's ancient olive trees might have been saplings when Jesus was here. Next stop is the Church of All Nations or the Basilica of the Agony, where Jesus prayed on the night of his arrest. The tour continues to the Old City of Jerusalem. 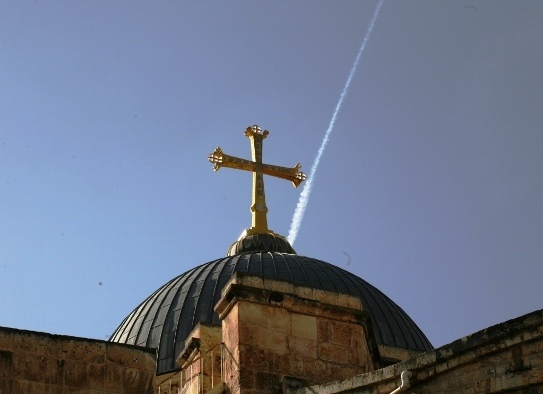 We will visit the Church of the Holy Sepulcher, believed by many to be the site of ‎the crucifixion and resurrection. Here we shall climb to Golgotha, where Jesus is ‎believed to be crucified. 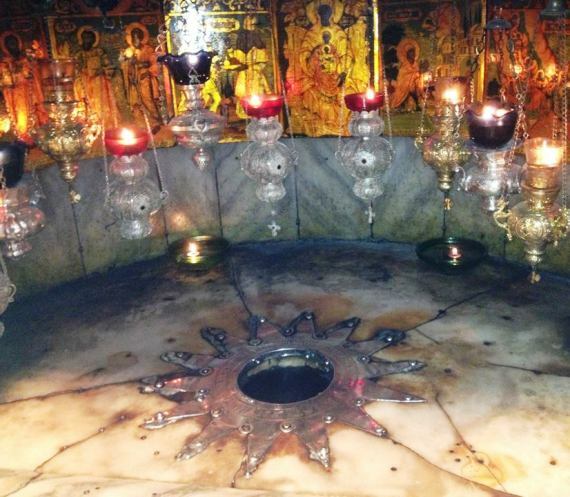 ‎We'll also see the Aedicule, the place many Christians believe is the burial place of Jesus Christ. The Sepulcher Church contains the five last stations of the Way of the Cross, known as the Via Dolorosa. Outside Damascus Gate, we will visit Garden Tomb, a place which many Protestants consider is the real location of the Crucifixion and Resurrection. The last leg of the tour is Yad Vashem, the Jewish Holocaust Museum. The museum presents the unbelievable history of the Holocaust and its atrocities, progressing to the Jewish armed resistance and their desperate fight for freedom, which ultimately led to the creation of the ‎Modern State of Israel.‎ The museum culminates in an amazing view of modern Jerusalem. Al-Aqsa Mosque - Al-Masjid al-'Aqṣā ‎المسجد الاقصى‎ - This silver-capped mosque is the third holiest site in ‎Islam. Its name refers to Muhammad’s Night Journey from ‎Mecca. Dome of the Rock - Qubbat al-Sakhrah: ‎قبة الصخرة‎ ‎- this most famous landmark of Jerusalem contains the Foundation Stone from which Mohammed ascended to heaven on the Night Journey, and from where the world was created and Isaac was nearly sacrificied. Underground Mosque - Marwan-e-Masjid ‎المصلى المرواني‎ for 10,000 ‎worshippers, the largest mosque in the country. See some of the beautiful Mameluk buildings from the early Middle ages such as Lady Tonshok Palace – Aqbat E-Taqiya a Ma'a lot Ha-‎Midrasha. The shuk is a good place to buy sweets, souvenirs, or stop for a meal. Just don't forget to haggle. Note that non-Muslims can enter and walk around Haram Ash Sharif and see these beautiful structures from the outside. They are not allowed to enter the mosques or the Dome of the Rock. If you are looking for an organized group tour of Jerusalem, read here about Organized Jerusalem Tours.